Gerry Clarke, Mossbrook, 37 Grange Wood, Rathfarnham, Dublin 16 and formerly of Main St, Bailieborough, Co Cavan. 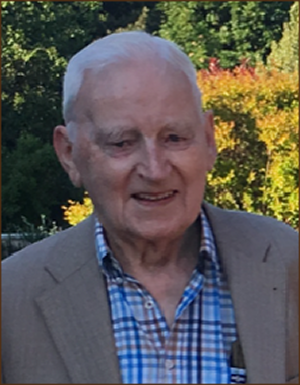 Died 28th January 2019 peacefully at the Beacon Hospital, surrounded by his loving family. Predeceased by his loving wife Mary and his brother T.M. Sadly missed by his loving family Robert, Niall, Ger (O’Donnell), Miriam, Yvonne (Malone), daughter-in-law, sons-in-law, brothers Francis, Malachy and Liam, sisters Anita, Maeve, Aileen, Kathleen, Bernadette, Joan and Rosealeen, nieces, nephews, grandchildren, great grandchildren, family & friends. Reposing at his residence Wednesday from 1pm until 5pm, family time thereafter. Removal to Divine Word Church, Marley Grange, Rathfarnham to arrive at 7pm. Funeral Mass Thursday at 12 o clock with burial afterwards in Kilmashogue Cemetery, Edmonstown.